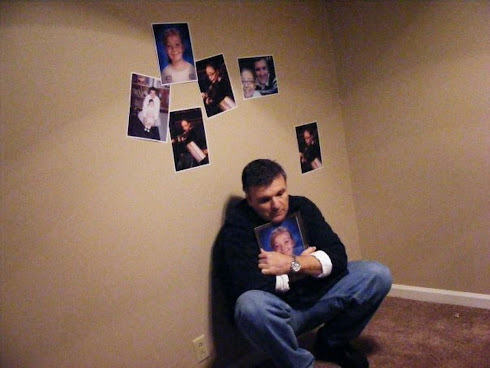 Sometimes Daddies Cry...a Divorced Dads Forum. Love and Hope for Divorced and Single Dads. You're amongst friends here. Battle Scars and Loneliness at the Holidays. He sits alone in church, feeling every eye on him and hearing the whispers. He knows what people think. Somehow, they always think it was the man’s fault. He must have cheated. He must have been abusive. He must drink or gamble or maybe he can’t hold a job. The truth is that she just wanted something else. Something new. Someone with more money and a better sense of fashion. So…she left. Oh, she claimed he was this or he was that, but ultimately, in a no-fault-divorce world, she was just creating a diversion. A puff or two of smoke to turn a few friends in her favor and make sure she got primary custody. Her heart wasn’t broken by this, so she assumes his won’t be either. But it is, and she resents him for that. “Why can’t he just get on with life? Why does he miss the kids so much? Why does he act so hurt that she’s dating already?” She spits these questions out at him sometimes when she sees the loneliness in his eyes and it bites at her conscience. Or what little remains of it. He sits in church alone. Sometimes, he glances to his right and remembers when she used to be sitting there with him. And their little girl. Like a family. Like it was supposed to be. He hears the whispers of the Enemy of his soul… “Look at you. You’re a failure. Your wife isn’t here anymore. Your child isn’t here. This is where families come, and you don’t even have one now.” He says these last words with a hiss. The legendary split tongue cutting its way into his heart. He brushes back a few tears and tries to hold his head high. He’d hoped he’d at least still belong here, in this place of sanctuary but he doesn’t feel very welcomed anymore. In fact, he doesn’t feel anything. He feels invisible. Ever since she left, people have been awkward, and they avoid him altogether. They don’t know what to say so they say nothing. The silence seems, to him, to be a guilty verdict. By saying nothing, they say “Yeah…we kind of side with her on this…” at least that’s how it feels to him. Because nobody will say anything. He wonders why they wonder why he stops coming. Why he stopped going out to dinner with the group after church on Sunday morning. Why he doesn’t return phone calls anymore. What did they think he’d do?” He asks himself. The loneliness is consuming sometimes, and he could use a friend. But they act like he is radioactive. Like they might get some of this one them. So, they steer clear, and he gives them a wider berth. The holidays are the toughest. The holidays and his daughter’s birthday. Christmas is supposed to be for families. It has always been for families. Thanksgiving too. Family, smiles, traditions, joy. It’s not supposed to be an alternating schedule of sorrow and happiness. One year you get to have Christmas like an almost-normal family. The other you get to sleep in, not wanting to get out of bed because your daughter isn’t there and you don’t have any real reason to get up. Christmas on any other day but Christmas is anticlimactic. But you soldier on. I could say he gets used to this, but in reality, it’s just that his scars grow thicker and his emotions lie buried beneath and ever-increasing layer of numbness. Trust? Trust whom? He trusted once. Trusted so much that he made a vow. For life. Look how that worked out. Look at this life he has. Love? It’s hard to believe in something again when it has wounded you so deeply. Years pass, and he finally arrives at something like normalcy again. He is, in many ways, his old self again. But in many ways, in crucial, core-of-the-man ways he is not. He is still a romantic, but it’s measured now and quickly caught when it begins to show its face. He used to truly love the company of other people. Now he prefers his solitude. In fact, being around people for too long makes him nervous and uncomfortable. He is nothing like he used to be, but people expect him to be like he used to be, and they wind up disappointed. What did you expect? You watched as his soul was torn out and you offered no relief. You expected him to handle it the way you think you’ll handle it if it ever happens to you. Only it never has happened to you. And you don’t really know how you’d handle it. He is broken, this man who sits alone. He is scarred over and unfeeling in the places where he ought to be feeling the most at this stage of life. My daughter was sick last night. She woke me at 2 A.M. needing her dad. She has been trying a new medication and it made her terribly nauseated. She’s nineteen. She knows how to take care of herself when something like this happens. But she still needed her dad to get her downstairs to the couch, get her some water, and feel her forehead with the back of his hand. She needed to be reminded that she isn’t alone. In truth…I needed this too. We’ve been here in Lynchburg for three and a half years now. That’s the longest uninterrupted period of living in the same house that we’ve had since she was born. Her mom left when Daisy was only eighteen months old. From that point on, it was once a week and every other weekend and two months in the summer. Even the two months were broken up with her mom having my visitation schedule. I never fully felt like a dad. I felt like my entire fatherhood was broken into bits and pieces, like Morse code. Dot, dot, dot…dash, dash, dash…dot, dot, dot. The thirteen years between our divorce and her moving here with me felt like I was lost at sea, trying desperately to swim against the tide, struggling beneath the waves and only catching a gasping breath whenever she was with me and I could breathe. As soon as I’d take her back to her mom’s, I’d disappear under the turbulent waters again. Drowning. Sinking. I came across a picture on Facebook yesterday. It popped up on that “Your memories From ____ Years Ago” thing. It was my daughter back home at St. Anthony’s Italian Festival. She was nine years old, smiling brightly, clutching a stuffed penguin she’d won at some midway game and waiting to get on the Ferris Wheel with me. My daughter doesn’t smile much now. She stopped smiling and being a bubbly, outgoing, happy kid when her mom’s second husband took off his mask of decency and showed the monster he really is. From age twelve, until we escaped Nashville and moved here to Lynchburg when she was sixteen, she endured mental and physical abuse enough to drive that bubbly, smiling girl into hiding. He wore her down with every kind of cruelty. He killed her pet. He destroyed her property, including things I gave her on birthdays and holidays. Things shared between a daddy and his little girl. Notes I would include in birthday cards. He would “edit” them and mark them up. He intruded on my fatherhood every chance he got. He stopped short of sexual assault –or he’d be a missing person on the back of a milk carton right now—but everything else was on the table in his sick mind. Her mom did nothing to stop this. She was too concerned with her own life. She often sided with her husband, against our daughter, in order to keep the peace. She essentially sacrificed Daisy’s well-being, for her own. It finally got bad enough and I took a job in Virginia and she left with me. She escaped the remnants of her childhood. This was not the life I wanted for my child. Or for me. I wanted a happy home and a house and peace. I wanted my daughter to be healthy and happy and to reach her potential. I wanted to be the best dad anyone ever had, and to experience fatherhood from the adult side and hopefully make up for how fatherhood looked from the child’s view that I had when I was her age. Instead I got sawdust fatherhood. The fragments that remain after the whole has been cut into pieces, again and again until nothing remains but the shavings and dust that stand as evidence that there really was something there once. But there were so many times over those thirteen years, when she was sick, and hurting, and often in real danger, and I couldn’t help her. My fragmented time with her leaves me aching for those days when she was that smiling little nine-year-old girl in the photo. Times when I would have loved nothing more than to have carried her downstairs to the couch, felt her forehead with the back of my hand, and stroked her hair until she fell asleep. But I had to settle for phone calls and five days a month. So, I don’t mind when she needs me now. I don’t rue the lost sleep or the groggy feeling when the alarm went off this morning at 4:45 and I was seriously thinking of taking a sick day. This would have been my life a dozen years ago, and instead it’s my life now. I’m okay with that. It’s what dads do. Good ones anyway. I nurse her back to health daily as it is. Back to emotional health. I’ve laid the back of my hand to her forehead and felt the cold, clammy feeling of a broken spirit. I’ve comforted the tears and frustration that she’s cried over the neglect and indifference that her mom has shown, both while she was being so abused in her mom’s home, and especially since we’ve moved here. They don’t talk much. Her mom has been here once in almost four years, and that was a brief, overnight visit. Nineteen-year-old women process that as abandonment. That’s because it is abandonment. I’ve held her hand as she’s been nauseated in her soul over the childhood she lost. Over the time we missed together. I’m doing my best to nurse her back to health. So, no…I don’t mind losing half a night of sleep to take care of my adult daughter. Because in truth, nursing her back to health is also nursing me back. Every chance I get to act like the dad I am inside, goes a long way toward healing the loss I’ve felt over the years after the divorce. And maybe, to heal the loss I felt long before that, in the deep hole that existed in my own heart, because of my own father and his abandonment. I’ve never felt his hand on my fevered forehead. Never heard his voice speak in the soft tones that dads use when their child is sick. Never felt his fingers brush my hair aside or his lips kiss my forehead as I drifted off to sleep, comforted in my illness by the presence of a loving, caring father. I know what it means to my daughter, because I needed it too. I could have quit. During those hard years after our divorce when my heart broke daily because I missed my daughter so much, and those five brief days each month were not even remotely enough to assuage my pain. I could have packed it in when I lost my career in 2008 and had to live in my car because there was no work. I could have left to find a job somewhere else and just dutifully sent money and called once a week. But I stayed. I stayed, and kept her trust, even though I was so limited in my ability to act on that trust. I stayed. And when the time came that she could take no more and had to get away…I was still there, ready to take her out of that hell and move her to safety. You dads who are reading this, (it’s posted on both my personal website and my divorced dads blog) I encourage you not to quit. I encourage you to look squarely at the hell you must endure, stiffen your shoulders, brush aside your tears, and stand your ground. Take whatever your ex, her husband, and the courts throw at you and stand your ground. The day will come. The day will come when the only knight left in the kingdom who can slay the dragon that pursues your child…is you. If you aren’t there –even with battered armor and a rusty sword—the dragon wins. *NOTE: The judge who heard my case, in December 1999 has long since retired. She was a multiple divorcee who really, in honesty, never should have been eligible to sit on divorce proceedings. How could she? How could someone with so glaring and obvious relational issues with men, possibly be objective? Her reputation as a man-hater was legendary. And she typically lived up to it. For years now, I've wondered what I would say to her if I ever met up with her, especially now that I am no longer under her jurisdiction and my daughter is an adult. I know a lot of men wonder the same thing. So I wrote this and I'm posting it here for other men to read, and maybe...to vicariously send to their judge. Men who read this...this woman was awful. I had an uphill battle every step of the way, but I never let her run me off. You must be bigger than the judge and the system. Bigger than the pain in your heart. In then end...you'll win. I’ve debated writing this letter. I have alternately felt that it would be useless, and then that it would do much good for others. I have no delusions that you’ll ever read it. But that doesn’t mean I shouldn’t write it. It would be therapeutic for me at the very least, and perhaps, for other men as well. Eighteen years ago, I walked out of your courtroom a divorced man. You certainly lived up to your reputation as a man-hater. Your despise for me –a man you’ve never met and who was the broken heart in this case- was evident. I neither cheated, nor abused. I worked hard. I was, and am, a great dad. It was my wife who decided to take a better offer, and it was my wife who walked out on me and our eighteen-month-old daughter. Yet, as you were always given to, during your thirty-five years on the bench…you awarded her primary custody. I got to see my little girl once a week and every other weekend, and for that privilege I got to pay $1000 a month. You graciously gave me two months in the summer where you reversed custody and gave me primary visitation. I’m sure your plan was that I would grow weary of being a full-time dad in those two months and come back, begging for you to reverse the order. I cherished those summers. I wept every night after I would take her back to her mom’s. I paced my empty home like a caged animal. I was lost. Aimless. People who saw me in those first years after my divorce said I looked like a dead man. On Monday’s, my friends could immediately tell if it had been a visitation weekend, because it took me most of the day to shake the gloom of my daughter not being there after a weekend of feeling normal. You doled out visitation as if she were your child, not mine. You commended my little girl to a horror she didn’t deserve and a brutal, violent life she never should have witnessed. My ex-wife remarried after about four years and the man she married was an animal. My daughter suffered so much emotional trauma under his hand that she has PTSD symptoms now. Together, they dragged me into your court every few months to put me through the ringer of additional child support. I was a straight commissioned employee and if I had one good year, you demanded that I pay an exorbitant amount whether the next year was as productive or not. When I would speak in my defense, you literally called me a liar without any facts to contradict me. When I explained that I was 100% commission, you said I was lying and you “simply could not believe I got no base salary,” even though I supported it with countless documentation. You refused to hear my petitions for additional visitation because of my concerns for my daughter’s safety. My daughter was forced to live with a man who drank, abused drugs, was physically violent and psychologically cruel. This man even went so far as to kill my daughter’s pet once. He damaged so many of her personal belongings that she started storing everything she owned in my shed. He would find birthday cards I sent her and deface them. He interfered with my visitation constantly and yet, when this was brought up in court, you gave her mother a verbal slap on the wrist and let it continue. She witnessed this man beating her mother numerous times. She lived with the fear that she’d be next, and sometimes she was. When every fiber in my being screamed out to just handle him myself, my common sense told me not to, because then my daughter would have no defender. So, I would rescue her from that hell, only to have to return her to it. Time and again you did nothing. It finally reached it’s zenith when she was 16, and we moved here to Virginia. She has been in counseling for a long time and will be for years to come. She still lives in fear. She still gets panicked whenever there is loud yelling, or she witnesses physical violence. Anything that reminds her of her mother’s home, causes her to almost shut down. The home you decided was the better alternative. The hell you condemned her to. I want you to know what it’s like to be a dad who loves his daughter and see the damage done because of your rulings. To watch her literally shake in fear because she saw two people fighting like her mom and second husband used to fight. I want you to know how my heart is ripped in two when I ask her if she’s heard from her mom and she says “No” with resignation because it’s been over a month. I want you to know how my heart aches when I look at my precious daughter, my only child, and see so much potential and so much talent, and such a loving, tender, heart and know how damaged she is already, at nineteen. I wish I could transfer all my grief and sorrow and pain onto you. I wish that, somehow, you could feel my hurt instead of me. I don’t deserve this…you do. You blithely rendered thousands of rulings like mine over your career and glibly destroyed thousands of dad’s lives and the lives of their children, because of your arrogance and your hatred for men. NO multiple-divorcee should ever sit on the bench in a divorce court. Not ever. You are long since retired. You’ve walked away from the battlefield you created and settled into the family business, and you’re living the life of ease and comfort while men like me are left to clean up the disaster zone you left behind. I hope someday your conscience awakens from it’s slumber and you begin to feel the effects of the career you had on the bench. I hope that someday you start losing sleep as I did for so many years. I hope your soul is vexed and your spirit broken until you repent somehow for what you’ve wrought on good men who merely wanted to be dads. A lesser man would hate you. I don’t hate you…I don’t think enough of you to hate you. But I don’t pity you either, although I should. I should pity a woman whose life was so consumed by her personal grudges against men that she used her position of power to extract her personal vengeance from every man she came across. You can’t possibly be happy. You can’t possibly be satisfied. You can’t possibly look back and think of any good that you did. My Faith got me through the long, grueling years under your jurisdiction. It’s my faith that commends me to civility in this letter. I refuse to give in to bitterness, because that would only extend every ruling you made in my life while you could. My daughter wound up with me. She survived your jurisdiction, as I did. You didn’t break me or run me off to abandon my daughter out of shear frustration. I won. I endured and resisted the urge to leave and escape the pain your rulings caused me. I stayed. I was there when my daughter needed me and in the end…she chose the better parent. You lost. You didn’t break me. I remained and became living proof that your sad, pathetic view of men is twisted and skewed. I met lots of dads in the years I lived in N____ who had been victims of your court. They all told the same story. Many of them were consumed with hatred toward you. They wished you evil and harm and talked openly of what they might do if they only could. I know they were only talking…only speaking from pain. I never became that man. I never vented my spleen with bile about your jurisdiction. I refused. I knew that I would only make my own pain worse, meanwhile you would carry on with life as merrily as before, unaware and unconcerned about the harm you’d been doing. So, I waited until this morning. I’ve thought about what I would say to you if I had a conversation and you had no power or authority to extract revenge after I spoke. I thought about what I wanted to say and what I needed to say and what I should say. Then I realized that it wouldn’t make any difference. Your heart is too hard and your soul entirely without compassion to even flinch if I were to have said all this to your face. It never bothered you then, what you were doing to families, so why would it bother you now? So, I wrote this article for me…not for you. For me, and for all the men like me who’s dream of fatherhood was broken and reshaped into something twisted and clownish. Men whose hearts never quite recovered during those long years of unequal visitation and prejudicial treatment. Those dads who had less, because so much of their money was going toward child support while so little of time was granted for their fatherhood. Men like me…condemned to weep every other Sunday night after the long ride home from our ex-wife’s house, looking over at an empty car-seat. Men like me who pulled up in the driveway of our own houses and sat in our cars for long stretches, not wanting to go inside and hear the deafening silence of a house without the sound of our child’s voice. A sound that had been filled those halls only hours before. This is for them. This is for me. This is as vivid a description as I could give, to the life you condemned me to when you made that ruling in December, 1999. I survived you. My daughter survived you. In my mind…I won. You spent your entire professional career dissolving families. You profited –you and the despicable attorneys who picked at the carcasses of families for every possible penny- from marriages ending. I don’t know how much my legal fees contributed to your lifestyle, but I hope you enjoy it. I hope you got my money’s worth. My daughter is 19, she lives with me, she’s getting better, and I survived you. I won. This case is finally closed. 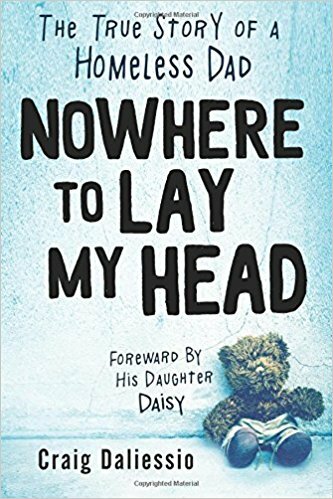 My new book: "Nowhere To Lay My Head: The True Story of a Homeless Dad"